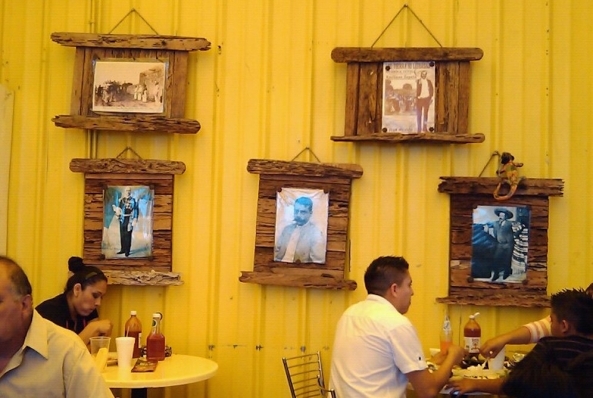 El Swapmeet customers eat next to pictures of Pancho Villa and Emilio Zapatas. The entrance at el Swapmeet. Most Mexican candies are dried fruits seasoned with chile and salt. Others are cajeta lollipops, coco bars in traditional Mexican flag colors, and more. A vendor in el Swapmeet removes the prick from a nopal, the prickly pear fruit. 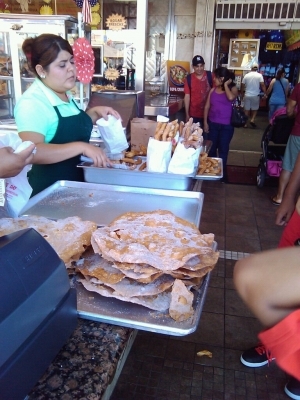 A vendor prepares the churros by adding cinnamon sugar. The large tortilla is a buñuelo. 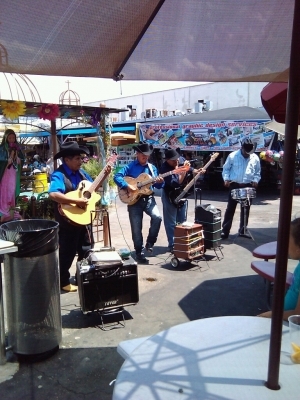 A banda plays next to the Virgin de Guadalupe. 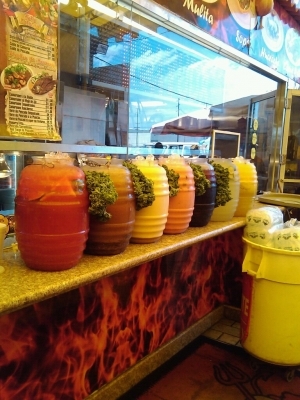 Agua fresca is popular in el Swapmeet. From left to right, the flavors are: watermelon, tamarindo, horchata, strawberry, jamaica, lime, and pineapple. 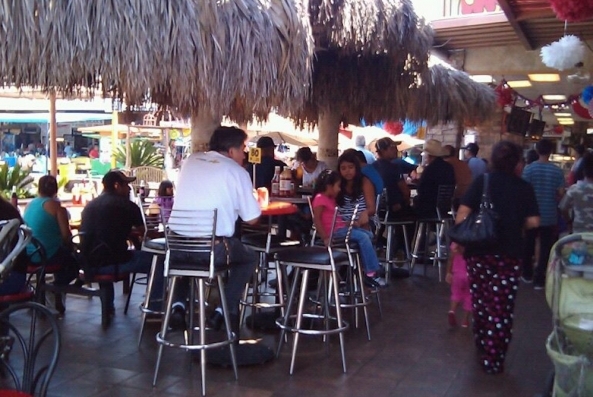 A crowd eats seafood under a tiki-style canopy. A wall next to el Swapmeet has been tagged, a major issue for local property owners. I miss el Swapmeet de la Alameda, on East 45th Street where South Los Angeles meets the city of Vernon. I miss how the smell of churros—cinnamon, brown sugar, and baked dough—used to make my mouth water as we passed by the lady who sold them three for a dollar. I loved how the Spanish music mixed with the booming sounds of voices speaking more Spanish deep in my eardrums. 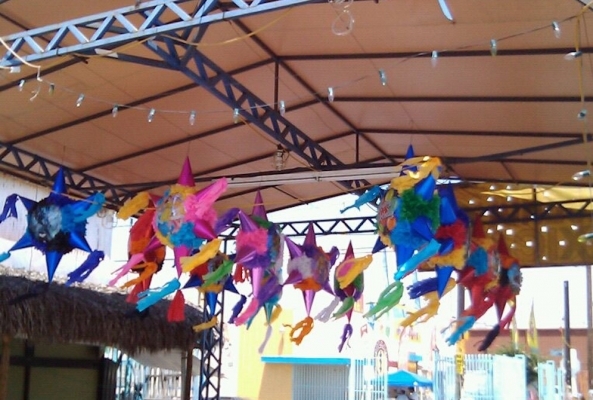 My eyes were often captivated by colorful piñatas hanging from the ceiling, and by the rows and rows of Mexican candy—Masapan (marzipan), Duvalin (candy creams), Bubu Lubus (chocolate covered marshmallows). These candies were at the level of my head when I was a little kid. And when we would go to the area where my father bought ingredients for the tamales he made and sold, I appreciated the smell of fresh fruits and vegetables, and the look of stands filled with greens from nopales, green peppers, cilantro. El Swapmeet is less than two miles from downtown L.A., but it feels like a piece of Mexico. During the weekend, it fills with people from the afternoon to the evening. Street vendors sell food outside, and vendors sell more food inside to locals and to people of all backgrounds who come from different parts of Los Angeles. Bandas play rancheras, baladas, and cumbias onstage outside in the sun, and crowds form to listen and dance. On one side of the building, goats, mules, and other farm animals are on display for kids to pet; you can even ride the mule for a price. Inside, vendors yell to sell clothes, electronics, and jewelry. In el Swapmeet, you can pretty much buy anything, from a quinceañera dress to traditional Mexican ornaments, and also get a tattoo, a haircut, or your ear pierced. 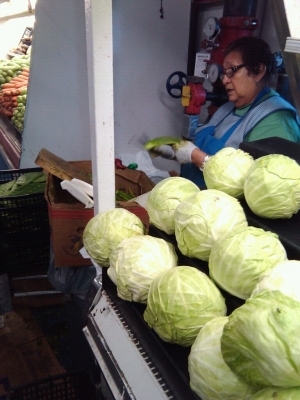 For my undocumented family, el Swapmeet was our neighborhood store, a five-minute walk from our house. It also was a way to stay rooted to our motherland. Status limited us from going back to Mexico, but el Swapmeet was our gateway to the culture and identity that sometimes felt lost to us. We were there two or three times a week for years, with my mother doing the shopping for the food she made at home. I never knew how precious this was until I had to leave South Los Angeles in 2015. I moved to Portage, Indiana, of all places. I was following my parents, who had moved away four years previously, and I thought it was time to be close to them and finish my education. My parents had had to move because a gang in South Los Angeles threatened to kill my father when my dad filed a report with police about members who had demanded money from him as a condition of selling tamales on the street. Such gang activity has long been a hazard for people who sell food and other items on the street, including for the street vendors who work outside el Swapmeet. 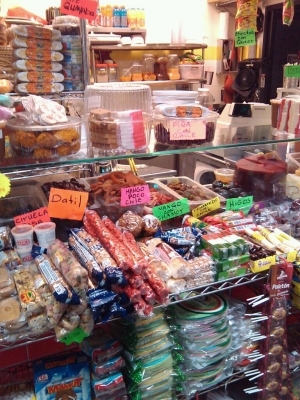 Street vendors, who are often undocumented, are easy targets for exploitation. For el Swapmeet and the community around it to grow and become an even bigger part of South L.A.’s economy (I believe it could be a smaller version of Olvera Street in the public imagination, given all it has to offer), protecting vendors is vital. Today, to get Mexican products, I have to drive to Chicago, a 45-minute trip by car from here in Indiana. 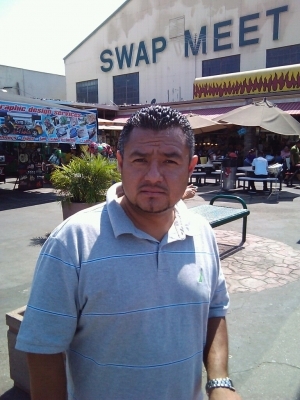 And I miss el Swapmeet, which I last visited just before my departure last year. But I still keep in touch with friends and family who live nearby. And I still have the photos of el Swapmeet that accompany this essay (I took them for a journalism project before moving). 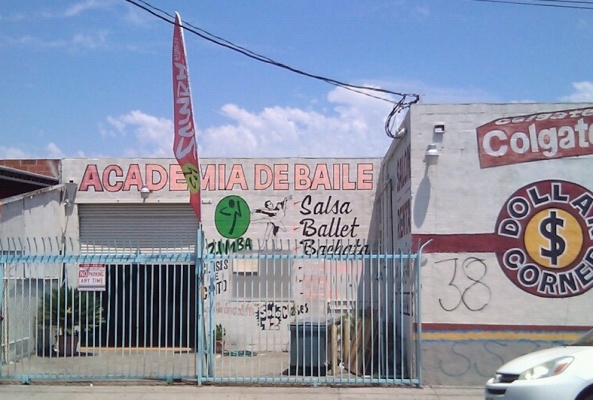 The photos remind me of an important South L.A. place that has a vital past, and deserves an even brighter future. Miguel Molina is a former South Los Angeles resident, a current student at Ivy Tech Valparaiso, and an activist for immigrant rights.